The reinvention of Florida gun nut George Zimmerman as a financially successful artist — albeit one clumsy with symbolism — has already gone south. 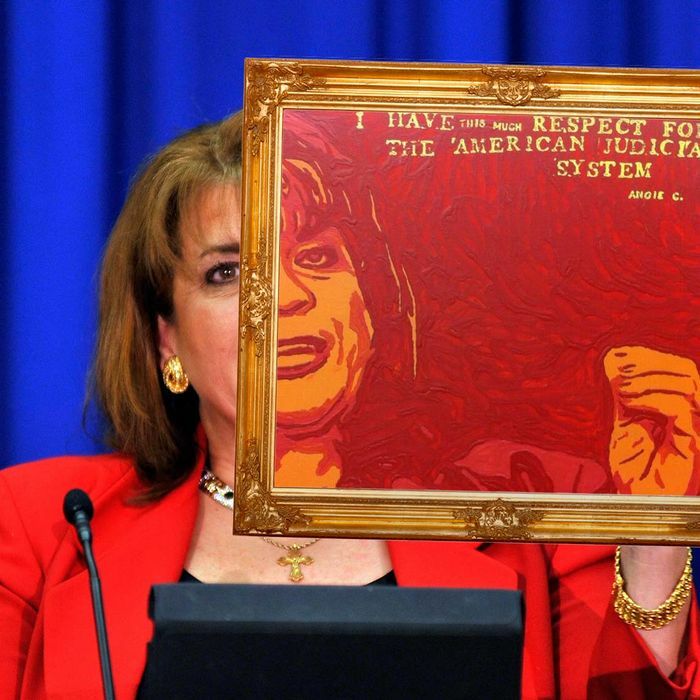 Like his American-flag rendering, which was ripped off from some stock art, Zimmerman’s latest, a portrait of Florida State Attorney Angela Corey announcing he would be charged with the murder of Trayvon Martin, is not very original. Its copyright owner, the Associated Press, has already taken action. Knowing Zimmerman, however, he’ll probably get away with it.